Absolute Endurance is designed with you in mind. While we have coached top level elite athletes, we pride ourselves in helping athletes of all levels. With the constant daily struggles we all face sometimes finding the time can be hard. We can help you maximizing the effort spent on the bike while minimize the total time needed. 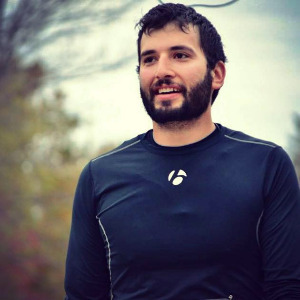 Garret has been a professional endurance coach for 8+ years across a variety of disciplines. An accomplished cyclist himself, Garret now shares that experience with his athletes. While experience is important he also has the science to back it up with a B.S. in Health Promotion, a NSCA C.S.C.S certification, USA Cycling Level 2 Coaching License, and also a TrainingPeaks Level 2 Coach. Success. Coach Garret Seacat has been notified of your message. To hire Garret Seacat as your coach, select the coaching service that is right for you.